Koelnmesse will hold Anutec Brazil from August 2-4, 2016 in Curitiba. 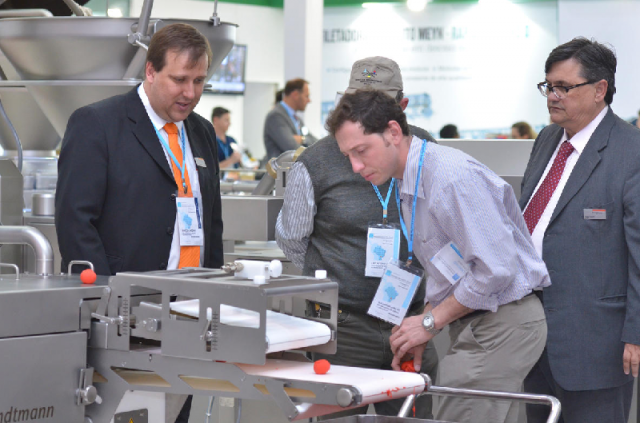 The event organizer says the show will boost the local packaging industry and the meat-processing industry, which has been affected by the economic situation of Brazil. The show will feature exhibitors in the 2014 showing. “The entirely positive experiences with ANUTEC BRAZIL 2014 have made it very easy for us to also plan the trade fair for 2016,” says Stefan Zilken, responsible for sales in Spain and South America for CSB-System. Other exhibitors include Bizerba, Haver & Boecker, Higel Kältetechnik and Selovac. “As an IT specialist for the meat industry, among others, we are especially excited about the positive development of Brazilian meat processors,” says Zilken.